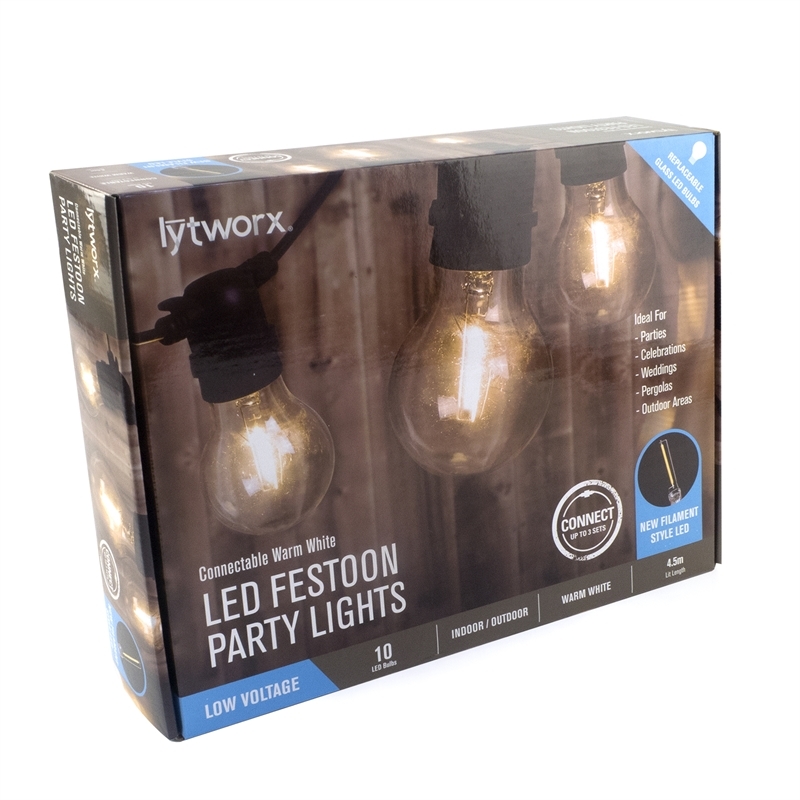 Add a classy touch to your household with this low voltage festoon lights. 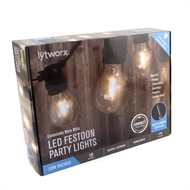 These lights have a patented multicolour filament style LED using e27 glass bulbs and has a lit length of 4.5m with a lead cable of 3.6m. To ensure installing your light set is hassle free, there is a small hanging hole premounted on each bulb. As part of our low voltage connectable light range from just one plug you can connect together up to 3 sets to meet your needs, saving time and plug sockets.